Parent-led Recitation of the Rosary - join us! Every Friday at 8:30 a.m. in the Church. Praying the Rosary is a powerful way to support our school and church community through prayer! Classes are filling up and space is limited! Don't wait - call us to schedule a convenient date! We offer new families a personally guided tour of the school, school information for the 2019-2020 school year, and the opportunity to talk to school administrators. We welcome non-Catholic students. Register Today! Our Summer Program is sure to please children with fun field trips, activities, crafts, games, and more! 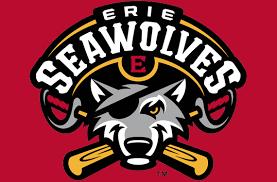 The Seawolves are teaming up with ECSS to host an Easter Egg Hunt at UPMC Park on Saturday, April 20th. The pre-game hunt is for ticketed fans ages 12 and younger. Purchase your advance tickets now! Save up to $3 (online only) per ticket at seawolves.com and use special offer code ECSS. The Seawolves are teaming up with the Erie Catholic School System to host an Easter Egg Hunt! Saint George School is a Pre-K through 8th Grade co-educational Catholic School founded by the Sisters of Mercy in 1944 as the Parish school of Saint George Catholic Church in the Diocese of Erie, Pennsylvania. Our goal is to partner with families in providing a moral and social awareness that will enable every student to achieve success spiritually, personally, and academically in a global society.